Twenty-seven-year-old Daisy already beat breast cancer three years ago. How can this be happening to her again? On the eve of what was supposed to be a triumphant “Cancerversary” with her husband Jack to celebrate three years of being cancer-free, Daisy suffers a devastating blow: her doctor tells her that the cancer is back, but this time it’s an aggressive stage four diagnosis. She may have as few as four months left to live. Death is a frightening prospect—but not because she’s afraid for herself. She’s terrified of what will happen to her brilliant but otherwise charmingly helpless husband when she’s no longer there to take care of him. It’s this fear that keeps her up at night, until she stumbles on the solution: she has to find him another wife. With a singular determination, Daisy scouts local parks and coffee shops and online dating sites looking for Jack’s perfect match. But the further she gets on her quest, the more she questions the sanity of her plan. As the thought of her husband with another woman becomes all too real, Daisy’s forced to decide what’s more important in the short amount of time she has left: her husband’s happiness—or her own? 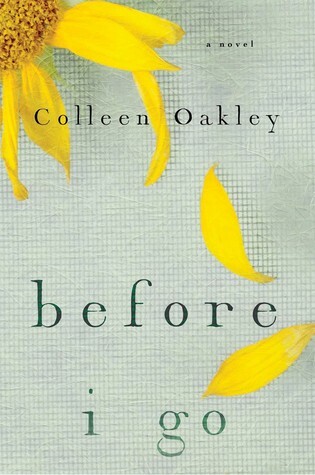 Before I Go wasn't on my radar until I started researching books that would be available at BEA last year. 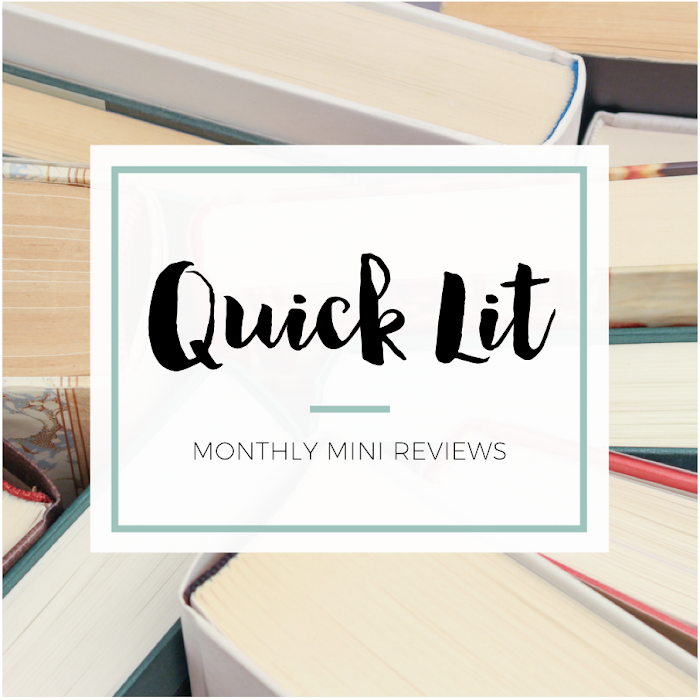 There was something about the summary of this one that caught my eye, and I wrote it on my list of books to keep an eye out for while I was wandering the floor. I never spotted it, so I asked a Simon and Schuster publicist about it. She was kind enough to grab me a copy, and I'm so thankful that she did! I don't know if I would have remembered to look up this book when I got home if I hadn't received a copy at BEA, and now it's a book that I won't soon forget. In fact, I've already read it twice. I started flipping back through when I sat down to write my review... and next thing I knew, I read it all over again. The best part? It was even better the second time around (and I loved it the first time!). 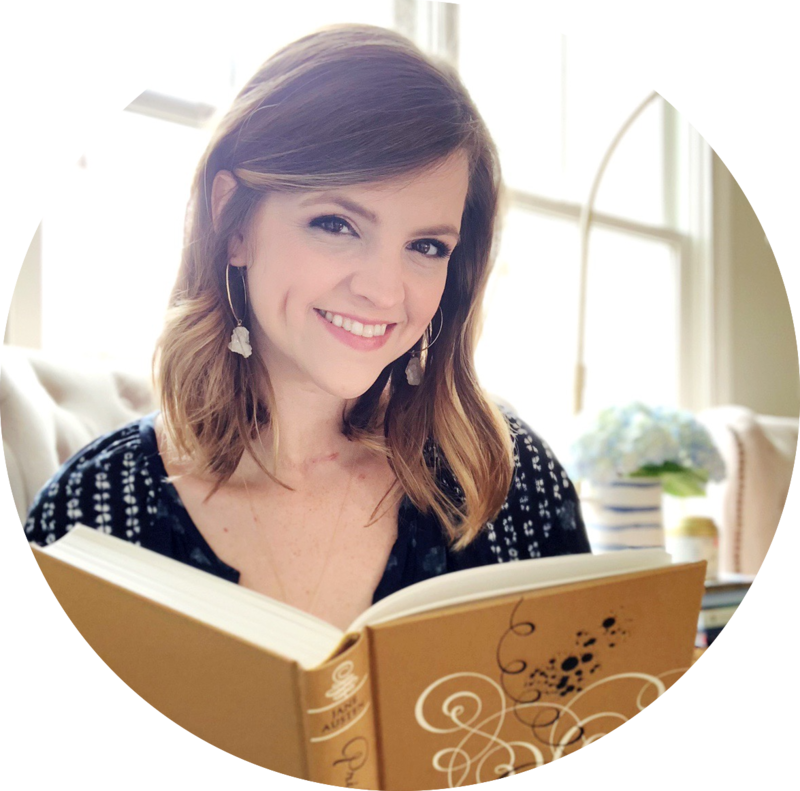 Before I Go is the story of Daisy, twenty-seven and already a breast cancer survivor. Right before her third anniversary of being cancer free, Daisy receives devastating news from her doctor: the cancer is back, and it's worse than before. Already stage four, treatment may prolong her life... but it won't cure her. Instead of grieving the news, Daisy can't stop thinking about what will happen to her husband, Jack. How will he survive without her? He may be brilliant, but he's also just a little bit helpless when it comes to the simplest tasks. And then, it hits her: Daisy will spend her last few months finding him another wife. He flashes his teeth at me, and I focus on his off-center upper bite. It's the very first thing I noticed about him, and I found the flaw devastatingly charming. That's how I knew I was in trouble. Because when you don't like someone, you just think, "He's got some crooked teeth." I knew that feeling - the one where you realize that something you might consider a flaw in someone else is endearing in this person you're falling in love with... Here I was only a few pages into the book and already reminiscing about those early days of a relationship. As I continued reading, I fell in love with Daisy's voice. There was something so blunt and honest about it, and I knew that I already cared about this character I'd just met. I'm a major character reader, and this book could have won me over on that aspect alone. But there was so much more that I loved! When I realized that Before I Go is set in Athens, Ga., it sealed the deal for me. I graduated from the University of Georgia, and Athens is one of my favorite cities. It has such character and charm, and I loved the little glimpses of it in this book. I would smile to myself when I recognized a place or a feeling so authentically captured. For example, Oakley writes about Athens in the summer, once students have left the city: "The city seems to breathe, luxuriating in the space it has to stretch its arms until school is back in session." Having lived in Athens during the summer, I know that's exactly how it feels! I loved Oakley's writing style. I highlighted sentence after sentence. There was just something about the way she expressed herself that worked perfectly for me. There's so much emotion in these pages! This premise could have easily been maudlin, but Oakley absolutely nails the tone. She delivers humor, grief, love, anger, fear... I was laughing one minute and bawling my eyes out the next. I was so invested in these characters and this story that I dreaded reaching the end. Daisy is frustrating at times, but in a way that I loved. She's pushing away the people closest to her - trying to prepare them for the inevitable. Having watched her own mother flounder in the wake of her father's sudden death, she wants to be sure Jack will make it through her loss. She dreads the thought of him alone, and so she fixates on finding him a new wife. And the whole time, you want to shout at her. You want to tell her to stop being so stupid, to hold him closer, and to let him be there for her. As she became more and more obsessed with her plan, I anxiously waited for the moment she would snap out of it. I want to share my favorite quote from Before I Go, but instead I'll just tell you that every moment of this journey is worth it. Both heartbreaking and hopeful, Before I Go captures the blessing of love, the beauty of life, and the burden of leaving them both behind. I loved every bit of this book, and I wouldn't hesitate to recommend it! It's a thought-provoking look at how a person reacts when the end draws near and there's not enough time to say and do all the things saved for "later." Before I Go has earned a spot on my favorites shelf, and I can't wait until I can one day make room on that shelf for Oakley's next book. She's already an auto-buy author for me. "I stack each memory in the suitcase of my brain side by side like neatly folded T-shirts, like I'm going on a trip and I don't want to leave them behind. I suppose I am. And I don't." *I received a copy of this book from the publisher for review consideration. This did not affect my opinion of the book or my review. Oh, this sounds so beautiful and so heartbreaking. I love the snippets you shared. I recently heard about this title and now, after reading your review, I'm off to add it to my TBR. I'm still very much into YA at the moment, but when I start to venture more into Adult, I'll be sure to look this up. Amazing review and I'm so glad to hear you loved it so much! This does sound like a good book to read. I enjoyed your review so much that I am adding it to my TBR. It's nice to have a reality break type book that deals with such a heartbreaking topic. Thanks for the lovely review. Oh, this sounds like a heartbreaker, but I am curious about it. I have really been into books that examine marriage lately and this one puts an interesting twist on that idea. You make such a wonderful case for Before I Go, Hannah! When you first mentioned this title to me, I was already really curious. But after reading your full thoughts on this novel? I NEED IT IN MY LIFE. It reminds me, in some way, of PS I Love You (which is a book I absolutely adored). I can't wait to meet Daisy and read her story this year.